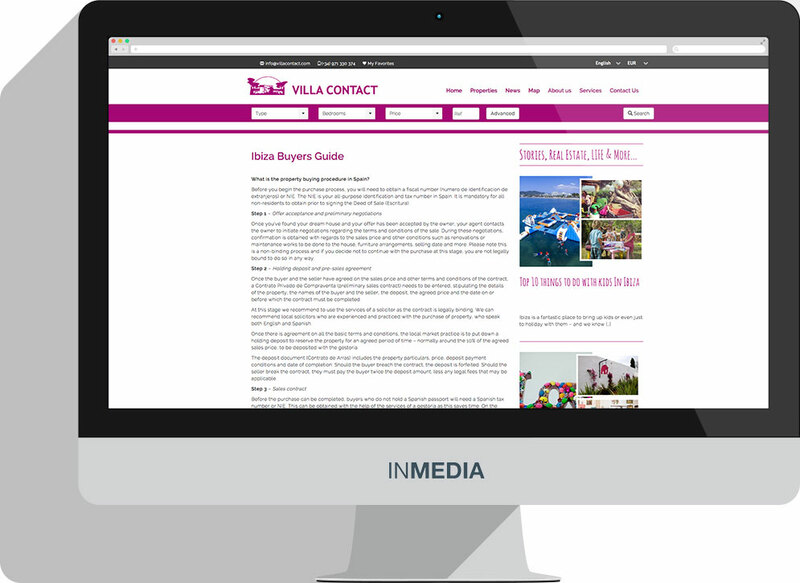 Villa Contact is family-run and widely recognised as one of the first established real estate companies on Ibiza. They opened their doors in 1983 and insist that nowadays their Ibiza born, multi-lingual team maintain the company’s strong heritage and values. 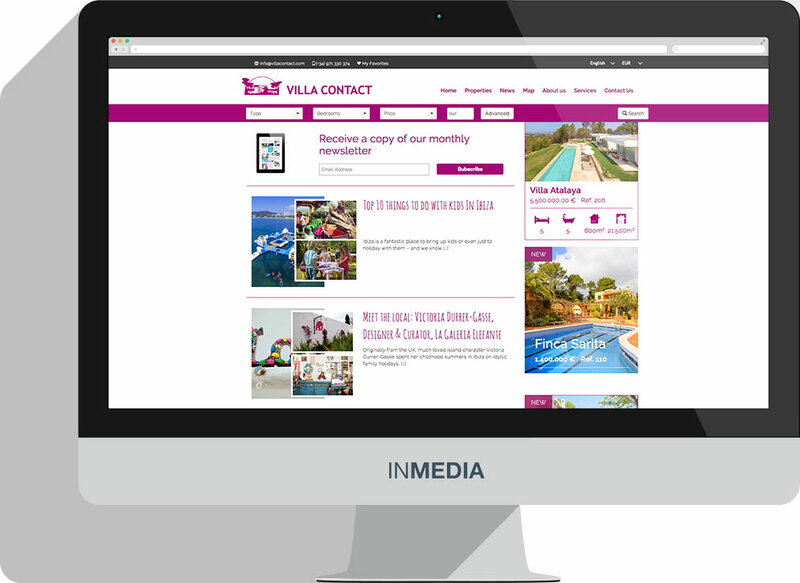 The main aim for us in creating the new website for Villa Contact was to reflect these values. On the other hand we wanted to create a real estate online magazine where you can click through to find many interesting articles about living on Ibiza, as well as presenting a well curated listing of high class properties. 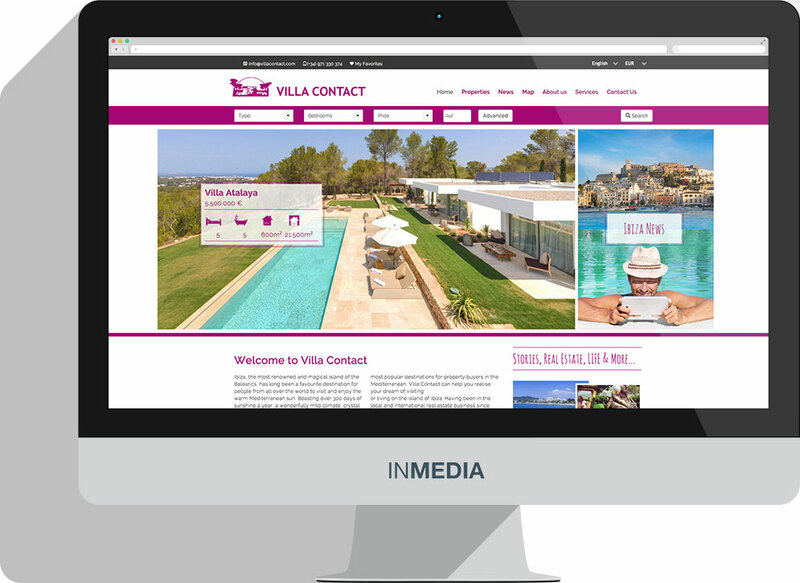 The conception and creation of the new site took quite a long time, because we and the Villa Contact family always wanted to have something better than they had previously. Good was not good enough. Finally, we are happy and proud that we have created something unique and outstanding. A Real Estate website the like of which you¹ve never seen before. Check out their new website and you will see that their professionality, and their unique personal service asset, are clearly displayed. You can feel that you are welcome and that you can trust these guys.